Tourism Research Australia (TRA) equips the Australian tourism industry with information and data to strengthen their marketing and business decisions. 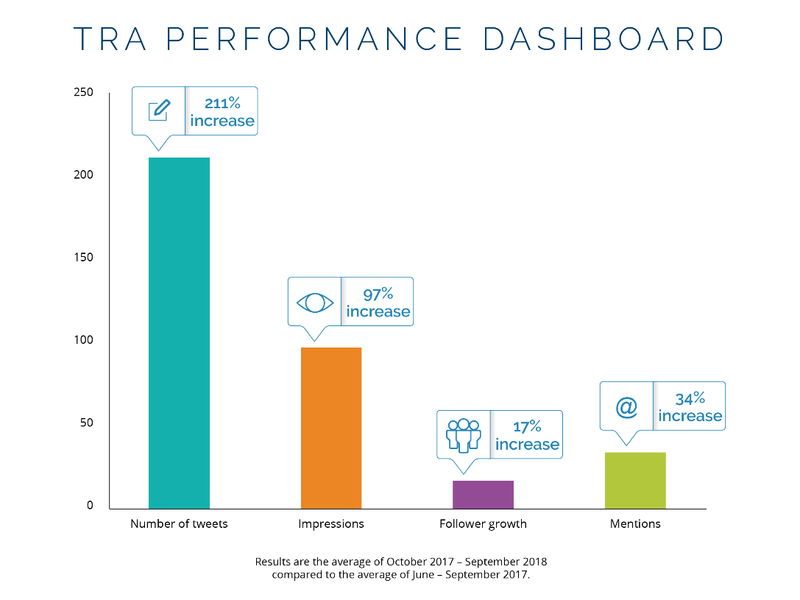 In October 2017, TRA recognised the opportunity to enhance the communication of their data and insights by engaging contentgroup to manage, maintain and develop their social media channels. In developing an overarching communication strategy for the client, we conducted several kick-off interviews to identify the client’s niche audience and align our vision with the client’s. We continued to regularly liaise with the client, submitting content for approval and regularly reporting on the strategy’s progress. contentgroup identified the need to produce creative, engaging content and maximise its reach in the Australian tourism industry. A comprehensive program of content was developed that leveraged key dates and trending topics on social media to extend the reach of TRA’s content. After identifying key dates and trends, contentgroup socially optimised the data and insights produced by TRA, repurposing the content of TRA’s reports for social media. At the end of the four-month contract, contentgroup presented TRA with a comprehensive measurement report, clearly outlining how their business objectives had been realised. Over the course of the initial contract, contentgroup implemented an aggressive social strategy, dramatically increasing TRA’s presence on social media. Over this time, contentgroup increased Twitter impressions by 109%, Twitter mentions by 46% and Twitter followers by 28% when compared with averages from the previous four-month period. contentgroup continued to refine and develop the TRA’s strategy and production schedule, regularly producing original, creative and engaging content. contentgroup developed case studies that tell the story of individuals and companies who have used the breadth of TRA data to inform their business decisions. Social media played a critical role in the amplification of this content. With their business objectives met, and a clear and detailed plan for future development laid out, TRA made the decision to extend their contract with contentgroup by a further eight months.